A powerful yet easy-to-use appliance that makes your everyday cleaning easier. It comes equipped with two brushrolls that work in concert to remove both large debris and fine dust particles from your floors and carpets. Its wand is bendable for easy reaching under bed and furniture—and can even be folded over for compact storage. 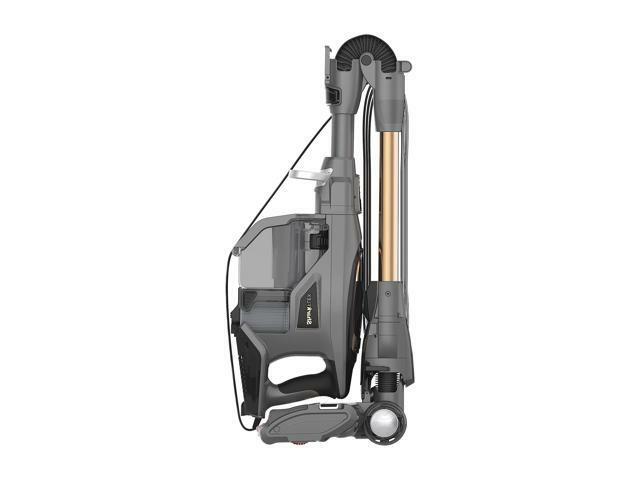 For more convenience, the HV392 vacuum can also be used as a handheld vacuum to clean stairs, car trunks and above other floor surfaces. 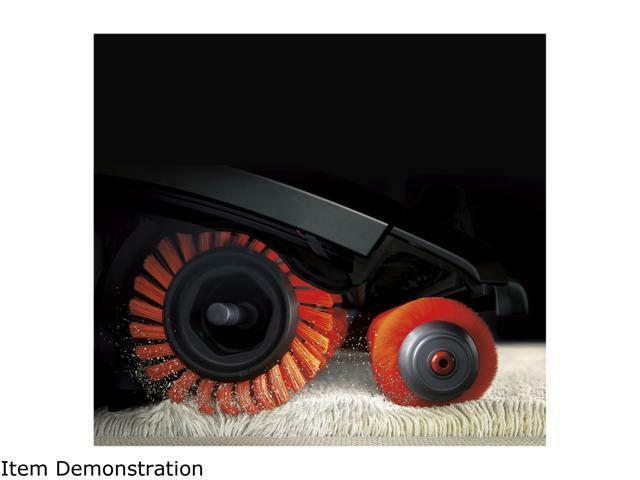 These vacuums feature DuoClean Technology, a combination of a bristle brush and soft roller invented to clean fine dust and small + large particles on both carpets and floors. Designed for pets and allergens, Anti-Allergen Complete Seal Technology captures and traps 99.9% of dust and allergens inside the vacuum—including many pollen, plant spores, pet allergens and other particles—down to 1 micron (based on ASTM F1977). Accessories remove pet hair and dander from furniture and upholstery. MultiFLEX Technology folds over for compact, free-standing storage and provides a flexible reach to get under beds, couches and tables. Active-Glide Technology provides a smooth ride over thresholds and across bare floors for effortless maneuverability. 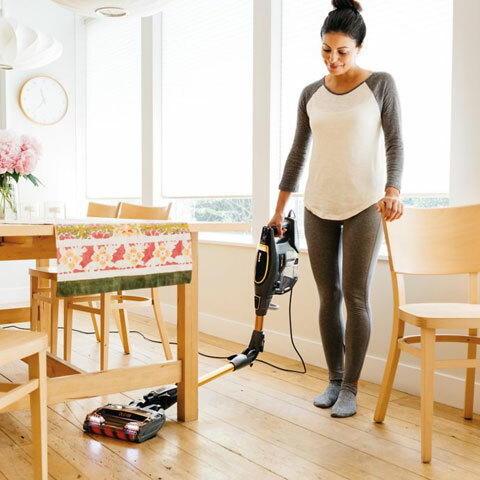 Converts to a handheld vacuum to easily clean stairs, furniture and other above-floor surfaces. Its slim design is perfect for reaching high up and in between narrow spaces using the quick-release foot pedal to separate the floor nozzle. 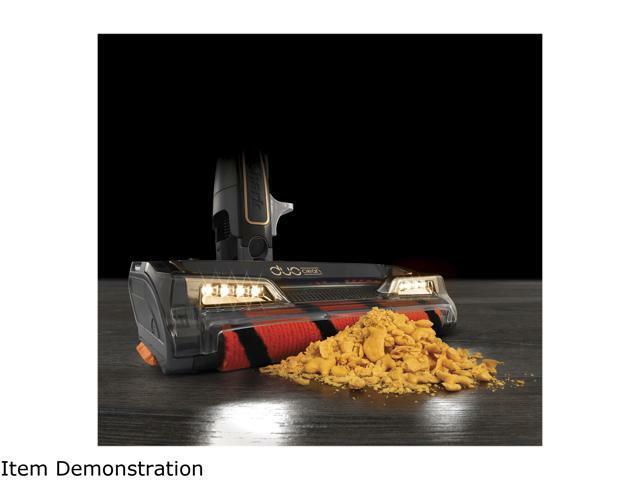 Easily spot hidden dirt with bright LED lights located on the nozzle. 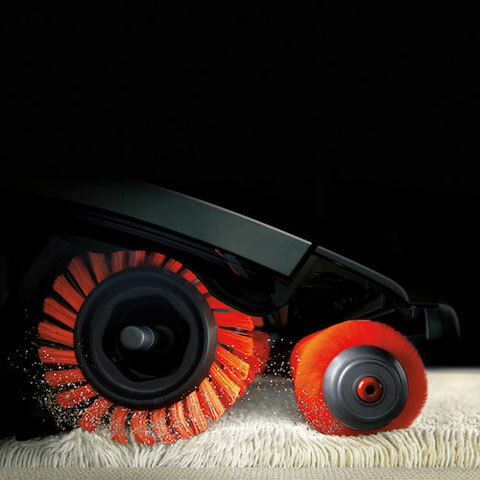 Features Features DuoClean Technology, a combination of a bristle brush and soft roller invented to clean fine dust and small and large particles on both carpets and floors. MultiFLEX Technology folds over for compact, free-standing storage and provides flexible reach to get under beds, couches, and tables. Designed for pets and allergens. Anti-Allergen Complete Seal Technology captures and traps 99.9% of dust and allergens inside the vacuum - including many pollen, plant spores, pet allergens, and other particles - down to 1 micron*. Accessories remove pet hair and dander from furniture and upholstery. Active-Glide Technology provides a smooth ride over thresholds and across bare floors for effortless maneuverability. 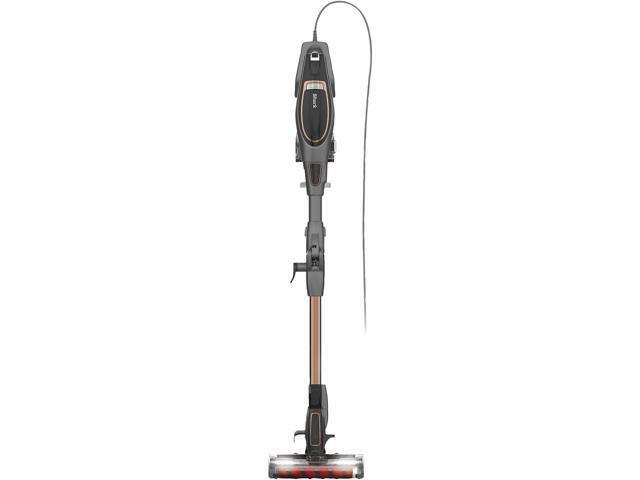 Noise Reduction Technology makes vacuuming a quieter experience on carpets and bare floors. 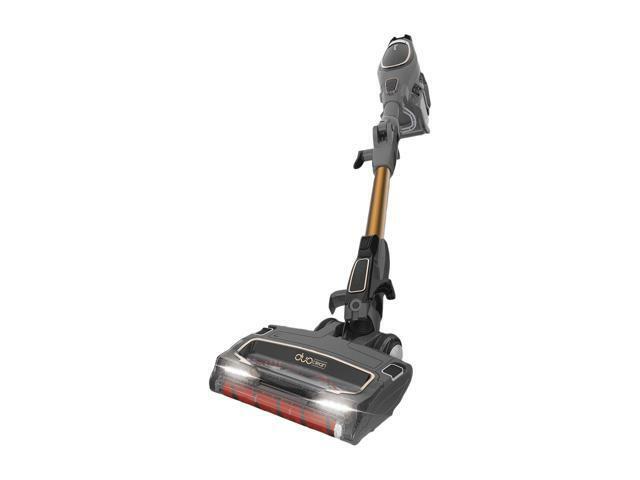 Weighing under 10 pounds, this lightweight vacuum has a removable dust cup for easy emptying and a brushroll garage for quick and easy access from the top of the vacuum. With a generous, 30-foot power cord, it never loses power. 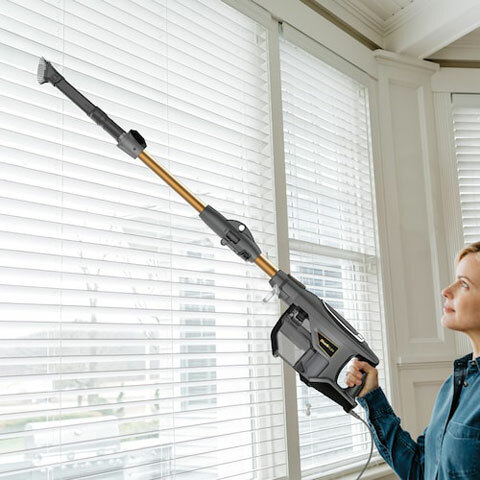 Converts to a handheld vacuum to easily clean stairs, furniture, and other above-floor surfaces. Its slim design is perfect for reaching high up and in between narrow spaces using the quick-release foot pedal to separate the floor nozzle. 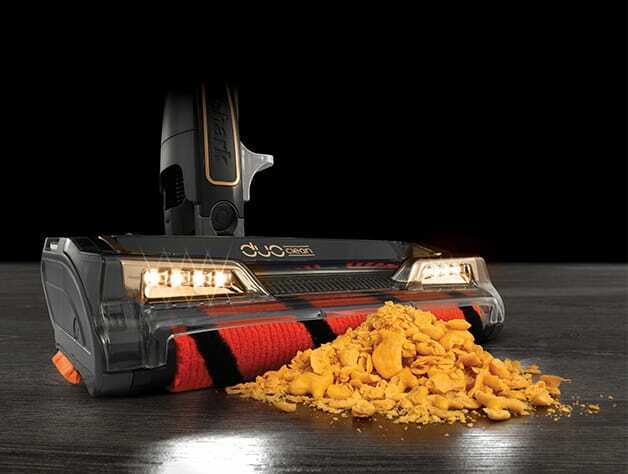 Easily spot hidden dirt with bright LED lights located on the nozzle. Additional Information The dust cup holds 0.4 dry quarts up to the max fill line. Dimensions 49.00" x 10.13" x 9.38"